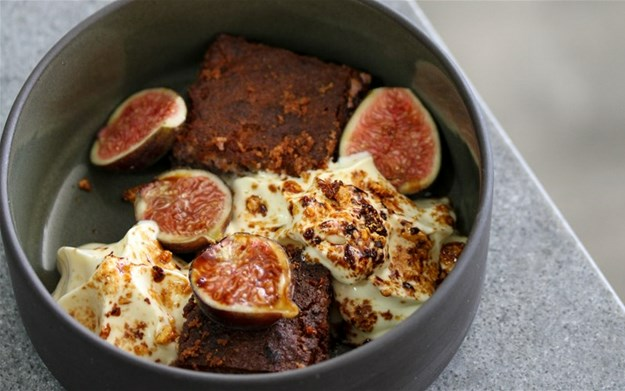 If you're a Cape Town foodie, chances are that over the last few years you would have seen many posts of delicious-looking bites on your social media feeds courtesy of Chef Matt Manning's One Ingredient dinners and Brunch and Lunch Clubs. 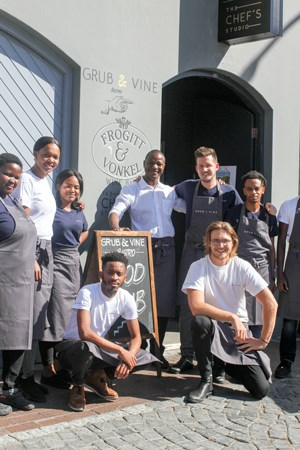 Good news is that now that food is accessible everyday, as Manning recently opened up his first official restaurant, Grub & Vine, a bistro-style eatery in the foodie mecca of the Mother City, aka Bree Street. And even better news, his clubs and cooking demos will continue as the space above Grub & Vine; The Chef’s Studio now acts as the official base for upcoming events. Grub and Vine, on the first floor of 103 Bree Street is a small but vibrant space with open plan kitchen and a contemporary yet homey feel. Adjacent to it is Frogitt and Vonkel Wine Bar, a new wine bar from online wine merchant Frogitt and Vonkel. 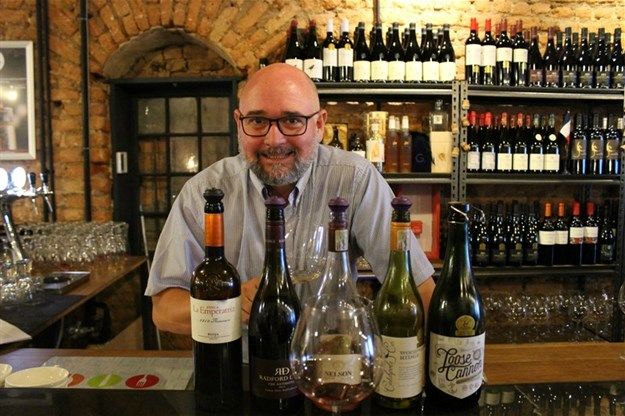 Here you can sample wine from some truly unique, local and international boutique wines that were till now predominantly only available in this country via the online shop. As all the wines have the option of being served by the glass, it’s the perfect space to do an urban inner-city tasting and sample a variety of wines you wouldn't usually find elsewhere. We joined owner John Woodward for a private wine tasting. Knowledgeable, passionate, and a great laugh John shared some exciting wines with us. From a delicious Chardonnay Pinot Noir MCC to a boutique Rioja from Spain we were taken on quite the wine voyage with an interesting tale to accompany each bottle. Once suitably liquored up we eagerly stepped next door for dinner. The menu is small but diverse and offers vegetarian, meat, and seafood dishes for lunch and dinner. Happy to be in the capable hands of Chef Manning we left our dinner choices up to him and were served a varied four-course taster dinner. 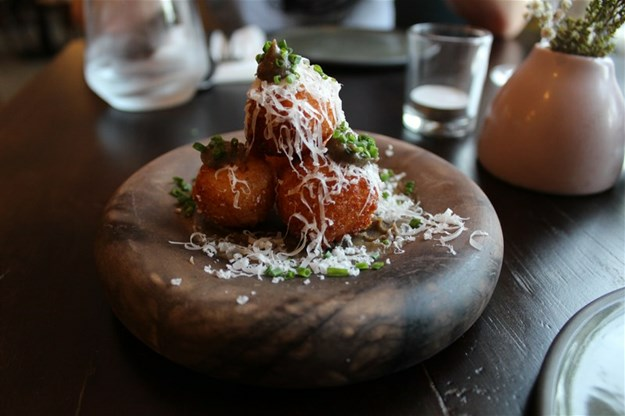 But first we were presented with a delicious snack of cauliflower Arancini balls generously dusted in pecorino shavings – ridiculously moreish. This was followed by the warm Burrata with tomato, fig and Salsa Verde and the char-grilled broccoli with fresh pear, forest phantom cheese, Pommery mustard and sunflower seeds. 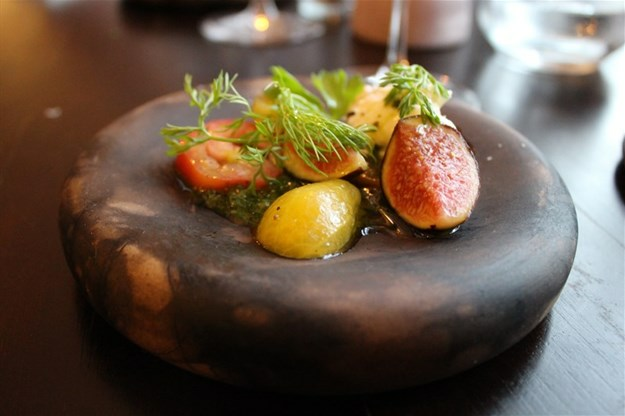 Both outstanding vegetarian dishes, interesting and layered yet not overly fussy. In fact, both the vegetarian dishes were my favourites. 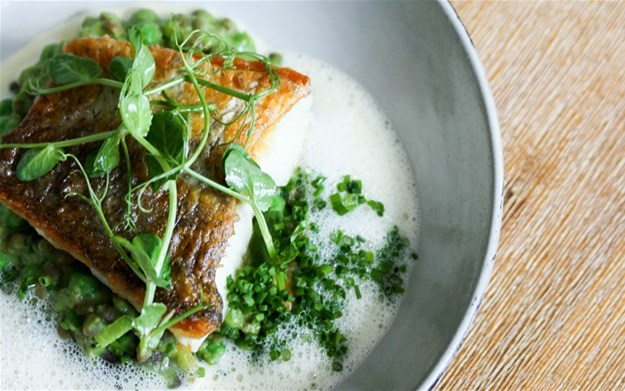 The West Coast hake that followed was accompanied by black lentils, steamed mussels and mussel sauce; it was well cooked and comforting yet I craved a touch of acidity. While the Karoo Lamb with smoked aubergine, Pommes Anna and turnip, though well prepared and depthy in flavour was just a tad too salty for my palate. Dessert was unique and not overly sweet – just the way I like it. A moist blackberry almond cake with silky honey custard, fresh figs and crunchy honeycomb was a perfect ending to a great night out. 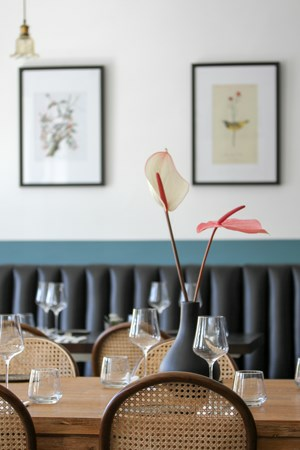 With uncomplicated yet delicious food, unique wines, and a perfect backdrop for a vibey night out Grub & Vine is yet another worthy addition to the Cape Town foodie scene. 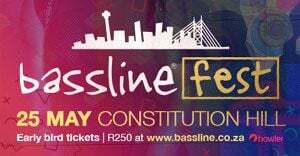 For more info or to make a booking go to www.grubandvine.co.za.